In Europe, the close-season break is simply that: A chance to catch some sun, take a rest and jump back in. In Australia, it runs from early May to October leaving fans desperate for something to talk about. That arrived Monday morning as Melbourne Victory announced that they had signed Keisuke Honda. The Japanese forward has been one of Asia's biggest stars for a decade since he moved to the Netherlands and started tearing things up. Since then, there have been spells in Russia, Italy and Mexico. Still just 32, Honda was good enough to be called up for the Samurai Blue for the 2018 World Cup -- no longer as an automatic starter but an influential addition coming off the bench. He has now retired from the national team (though would still like to play at the 2020 Olympics, which gives an incentive, should one be needed, to stay fit and in form), which gives him more time to focus on his new challenge. For that is how this player, who has always done things a little differently, sees it: a chance to make a difference on and off the pitch. On the pitch, Honda is not quite the player he was. Perhaps his purple period came with CSKA Moscow, his club from late 2009 to early 2014. He was keen to leave Russia before his contract ended with bids and interest from all over Europe, but the club would not sell. By the time "Emperor Keisuke," as he had been nicknamed in the Netherlands, eventually joined AC Milan in January 2014, the Italian giants were having issues and were a shadow of the great team that Honda had fallen in love with as a boy. It all meant that he was never really able to show his best in Italy, and it was no surprise that he left in 2017, though his choice of Mexico did raise a few eyebrows. His year with Pachuca showed a player still capable of standing out at a high level. Melbourne are a team that expects to win titles, and recruiting a player who has made 98 appearances for Japan and scored at three World Cups is going to help. The strikers can expect more chances and the fans can expect to get more excited at set pieces. If Honda and his Victory teammates can find a similar wavelength, then the rest of the league better watch out. It remains to be seen whether he helps sell tickets wherever he goes in Australia, but as the biggest name to play in the competition for some time -- at least since David Villa's short stint in 2014 -- it is to be hoped that he does. As an international marquee however, there is obviously an ambition for Honda to increase the profile of new club and league overseas. "It's tremendous to have Honda here in the A-League, a player with so much talent, international profile not just in Japan, but broader Asia and globally," said A-League boss Greg O'Rourke at the news conference held to announce the signing. "Asia is our neighbour. It's fantastic we're taking this next step to bring Asia to the A-League," he said. Having Honda on board certainly helps. In Japan, there will be plenty of interest to see how one of their biggest stars does down under. It should not be that difficult for Melbourne to find a partner in the Land of the Rising Sun to broadcast their games. Sponsorship cash should also be within reach. Elsewhere in Asia, the player is well-known and popular, even in South Korea, Japan's bitter football rival. The news of his signing was widely reported, though this does not mean that regular updates will follow -- unless something special happens. 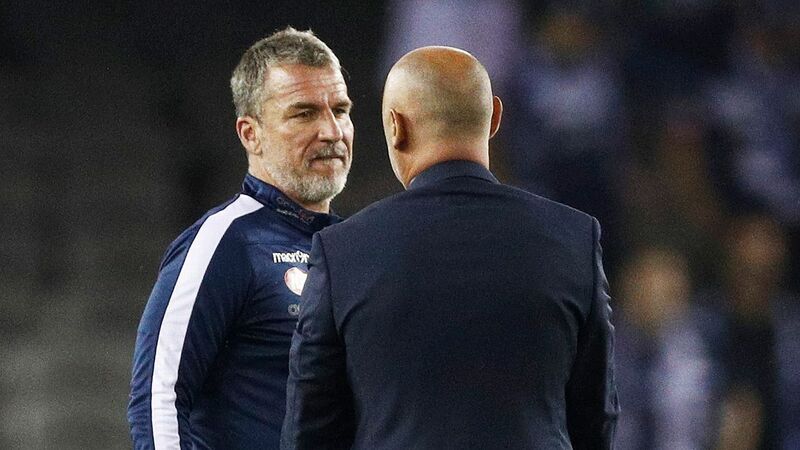 Despite some claims in Australia, AFC Champions League matches when Melbourne Victory come to town will not now be automatic sellouts. There will be more interest around the games, with local media able to fix on a familiar face, but the presence of the blond bombshell is not going to be taking a Korean crowd from 5,000 to 20,000. Around Asia, Honda's presence gives Melbourne an "in" and a starting point for whatever conversation they want to have, but there will still be plenty of work to do. By himself, Honda can't change that much. More Asian players would make a difference in Melbourne and the A-League in general. Having a handful of Chinese, Korean and Japanese players who are reasonably well-known (but don't need to be at Honda levels of fame) would help increase exposure and knowledge in East Asia. Combine that with a much more involved relationship with Southeast Asia, the region closest to Australia, and taking chances on the best talent from countries like Indonesia, Thailand and Vietnam, and then the AFC world would really be talking. If Honda's arrival can signal the start of a desire and willingness in Australian football to engage more with Asia at all levels, then this signing could be a real turning point. If not, it will be merely interesting and exciting rather than historic.